If your looking for something that is fruity with just a touch of heat then this is the chilli pepper for you. It is an extremely prolific producer from Peru. 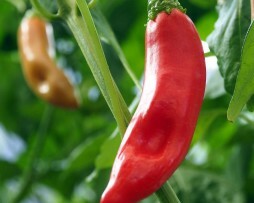 It has been nicknamed the Kaleidoscope because as it ripens you get different shades of green, orange and finally red. Plants get over 3 feet tall. 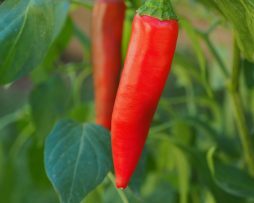 The fruit/pods are quite mild and very sweet when mature… a great substitute for bell peppers and goes well with most dishes. 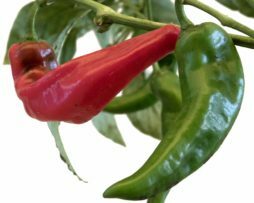 If you want a chilli plant that is a massive producer and tastes good too, this one is for you. The Klavo is from Italy and comes in red and peach colour and it’s not uncommon to get hundreds of them on the bush! They are sweet and juicy and taste a little like a Jalapeno with a bit more heat. The Klavo is a very good chilli for cooking in a stir fry or similar. It gets a ‘thumbs up’ from us! Big, Beautiful and Bountiful are three words we would use to describe the Krimzon Lee. It’s thick fleshed, sweet and super big at around 20cm long and 5cms wide. The Krimzon Lee pepper is perfect roasted, fried, grilled and for making into a moderately spicy salsa. 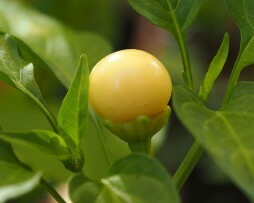 Grows around a meter high and even bigger in the ground but it will need good staking for support when it gets fruiting. 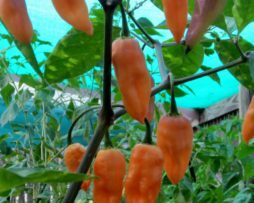 There are a few varieties of marble chillies around but this little beauty is a lovely edible ornamental chilli created by Oregon State University. 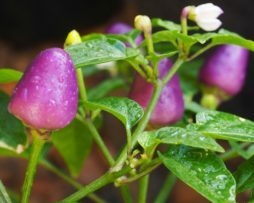 It’s another great easy to grow pepper plant that produces small marble sized fruit that change a range of colours as they ripen – from white to purple to a vibrant red. Great for patios or small spaces and one that would make for a good bonsai as it is a very compact plant growing to around 18 inches or smaller depending on the size of your pot. 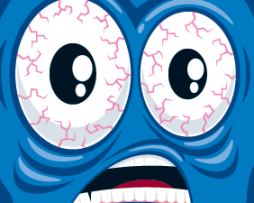 Very productive. 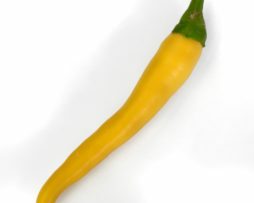 A mellow yellow in colour, this is a popular and widely used cayenne variety originating in the Balkens(Croatia). Ljuti in Croatian means hot so not the most creative juices went into naming it, but who cares, it tastes fantastic. 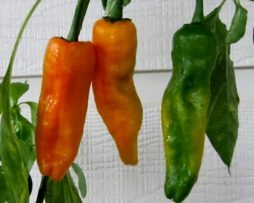 The hardy plants produce prolific crops of green maturing to mellow yellow fruits similar in shape, size and heat to Cayenne. Fruit grow upwards and look great in their clusters. Taste wise they have a terrific zingy lemony pepper freshness that will have you coming back for more. The Ljuti is a great one for dried seasonings. 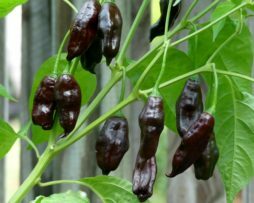 Loco is a hybrid chilli that is a wonderfully attractive plant, having dark green leaves and purple-fringed white flowers. The fruit are cone-shaped and upward growing, getting to about 3cms long. 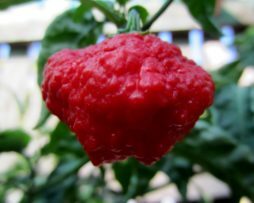 The Loco chilli fruit change from a beautiful lilac purple to orange and then red as they mature. The plant itself is super compact and it thrives and produces well even in small pots. The Loco chilli is more an ornamental variety but the taste is quite sweet with some floral flavour undertones. 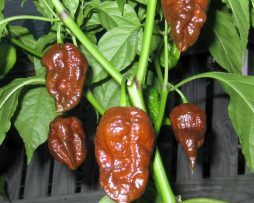 An interesting and rare one from Indonesia this chilli pepper is a medium hot good all rounder. It’s nice and sweet and goes lovely and soft when ripe meaning it melts down well in cooking. It is a great early producer that keeps pumping out fruit even through the colder months. 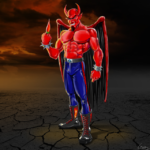 I wonder if Lucifer was dreaming to himself one day, “I wish this chilli came in another color.” …….well it does! Lucifer’s Dream Yellow! It’s very versatile. You can stir fry it, put it in a garden salad or its big enough to be stuffed. It has great flavor and is not searing hot so the kids may well have a try of it too! The bush is compact and is a prolific producer. It is still very hard to get and worth growing!